You’ve heard that Geomarketing can help your marketing campaigns be more successful, but just how does that work in practice? We at locr have a proprietary geomarketing solution – GEOservices. GEOservices is a service that lets you improve the quality of your mailing list. The result of using GEOservices to refine your address list is not only a saving of printing and postage cost but also increasing response rates and higher ROIs. Let’s see how you can use locr GEOservices to optimize your marketing campaigns! For print mail it’s more and more difficult to stand out from the crowd and not directly go to the bin with all of the trash mail. Personalized maps are another geomarketing solution we offer. Those variable maps are the perfect way to catch the readers’ eye. The map can highlight the recipients’ address which attracts the recipients’ attention simply because it is something familiar. Now you can go one step further and assign the best destination location to each recipients’ address by using real navigation calculation. Define rules like assigning the next three locations within 10 miles around each address or the nearest shops from different categories. It’s just a 5 minute walk to your new hair cut! You will be able to send just the right offer to the right target audience in the right geographic area. Provide your customers with relevant information like driving or walking time or distance from their address to your business location. Get turn-by-turn information in text or HTML format and include that in your marketing message. 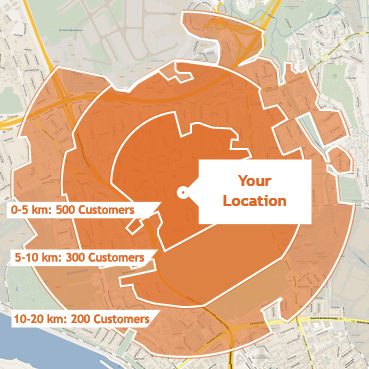 So you see locr GEOservices are perfectly for adding value for your customers and making a connection with them. Great Value For Your Customer… But There’s Something In It For You, Too! 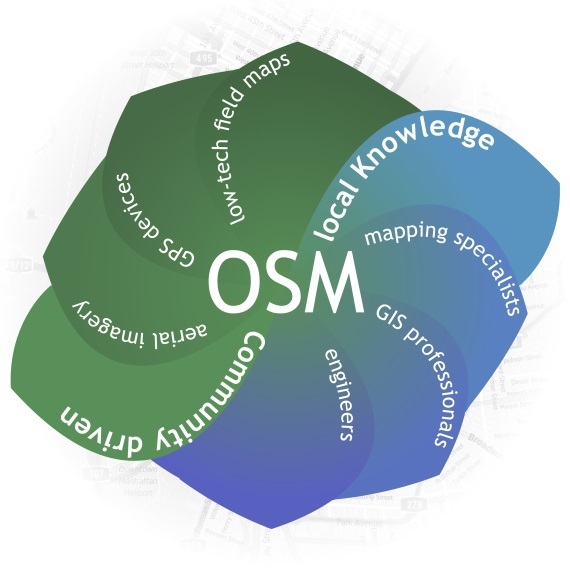 locr partners with leading geodata provider OpenStreetMap. We take their raw data and convert it into a quality database that forms the foundation of our geodata. We then take your customer data and compare it with this geodata. This gives you the confidence of knowing that you are marketing with pin-point accuracy. In addition, locr’s GEOservices can also provide important location information that you can include in your marketing campaign – information like travel time or distance to a business or event. GEOservices from locr help marketers to market better. To learn more, email us at info@locr.com.